If you’re local to North Dakota and can help folks who are being bailed out, please contact Lissa Yellow Bird-Chase. Call the White House at (202) 456-1111 or (202) 456-1414. Ask that the National Guard be called off, DOJ observers be sent, and the Dakota Access Pipeline be stopped. Start or join events in your area. 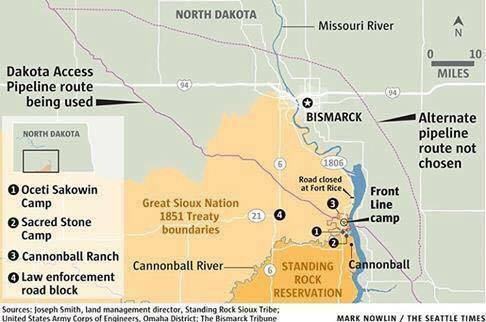 Read, talk, post, Tweet – get others to join in demanding that the Dakota Access Pipeline be stopped, Standing Rock Sioux be heard, and our treaties be honored. Follow Sacred Stone Camp (Facebook) (Twitter), (Facebook) (Twitter), Standing Rock Dakota Access Pipeline Opposition (Facebook), and Standing Rock Sioux Tribe (Facebook) (Twitter). Purchase Standing Rock designs from a native clothing company. 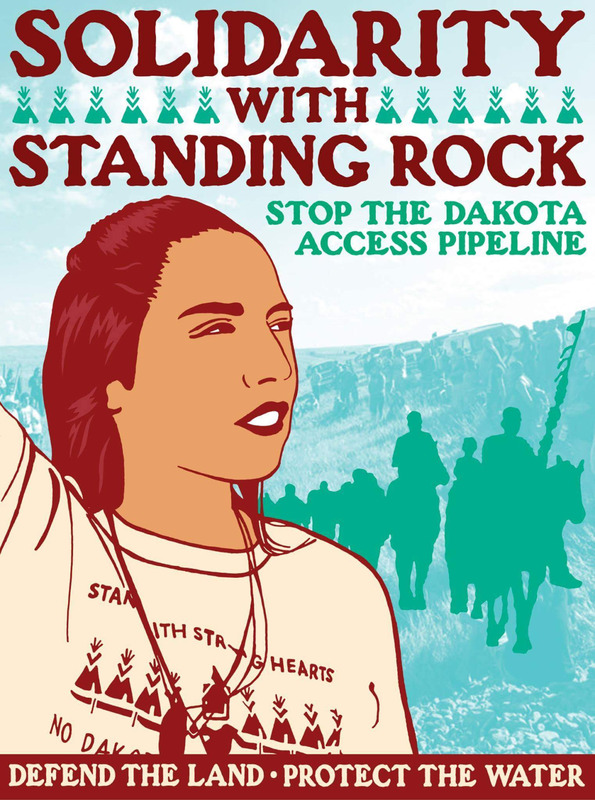 And, if you’re able to join the water defenders at the Sacred Stone Camp, find out how here.